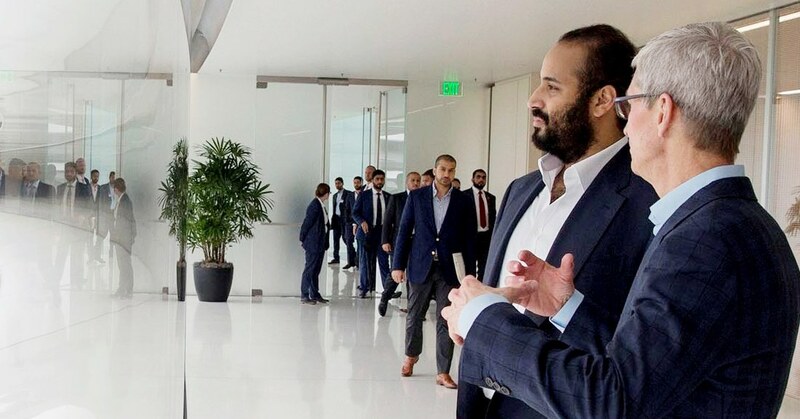 In recent years, the Saudi Arabian monarchy has poured billions of dollars into Silicon Valley, promoting the image of Crown Prince Mohammed bin Salman as a savvy reformer, eager to modernize the country. But after recent allegations that Saudi agents killed journalist and critic Jamal Khashoggi, some of those companies and investors are tentatively backing away from the regime. Khashoggi, a US resident and columnist for The Washington Post, was last seen at the Saudi consulate in Istanbul on October 2. The Post reported that Turkish officials claim to have audio and video recordings proving that Khashoggi was murdered and dismembered in the consulate by a group of Saudi agents. As details emerged about Khashoggi’s disappearance, some tech figures have distanced themselves from high-profile Saudi projects. On Tuesday, Neom, a planned government-backed futuristic megacity, released a list of advisory board members. Since then, two of those members—Sam Altman, president of Y Combinator’s parent group, and Ideo CEO Tim Brown—have said they will not participate, at least for the moment. “I am suspending my involvement with the NEOM advisory board until the facts regarding Jamal Khashoggi’s disappearance are known,” Altman said in a statement. Two others listed as members—Dan Doctoroff, CEO of Google-backed startup Sidewalk Labs, and Apple chief design officer Jony Ive—have said they were included incorrectly. Venture capital investor Marc Andreessen declined to comment, and board members Masayoshi Son, CEO of Softbank, and Travis Kalanick, former CEO of Uber, did not respond to questions. Several tech figures also dropped out of the Saudi government’s Future Investment Conference, known “Davos in the Desert,” scheduled for Riyadh later this month. Steve Case, a tech investor and former CEO of AOL, tweeted that his plans to attend the conference are on hold. Uber CEO Dara Khosrowshahi told The Wall Street Journal, “unless a substantially different set of facts emerges,” he would not attend the conference. “I’m very troubled by the reports to date about Jamal Khashoggi.” Uber board member Arianna Huffington also told the Journal she no longer plans to attend. Mohammed’s tech connections have much deeper roots, however. The Saudi government’s sovereign wealth fund, Public Investment Fund (PIF), has invested, directly and indirectly, in many top tier tech firms, which have remained silent on the controversy so far. Uber, which received a $3.5 billion investment from PIF in 2016, did not respond to questions. Yasir Al Rumayyan, the Saudi fund’s managing director, has a seat on Uber’s board of directors. PIF also invested $45 billion into Softbank’s $100 billion Vision Fund, which has shaken the venture capital ecosystem in Silicon Valley with massive checks. Last week, the crown prince announced that he planned to invest an additional $45 billion in a second Vision Fund. Mohammed told Bloomberg that the PIF was doubling down after seeing “a huge income in the first year” from its initial investment. WIRED requested comment from US tech companies that received funding from PIF, based on data from Pitchbook, including Tesla, Magic Leap, Lucid Motors, and Penske Media. In August, the Financial Times reported that PIF planned to purchase $2 billion worth of Tesla stock. Lucid declined to comment. The others did not respond. WIRED also requested comment more than a dozen US tech companies that received funding from Softbank’s Vision Fund, based on Pitchbook data, including WeWork, Slack, Brandless, Wag, OpenDoor, Brain Corp, and Nvidia. Nvidia, which is publicly traded, said Softbank purchased shares on the open market and the company had no further information. Slack declined to comment. The others did not respond. Beyond funding, there are other potential deals with big tech. In April, Mohammed spent three weeks touring the United States, including meetings with tech leaders, among others. In one session, he reportedly pitched Amazon CEO Jeff Bezos on opening a data center in Saudi Arabia by offering subsidized real estate and utilities. Amazon did not respond to a request for comment. The Saudi government’s alleged participation in Khashoggi’s disappearance is just the latest ethical quandary for Silicon Valley companies about their investors and customers. Google is facing criticism after reports that it plans to build a censored search engine in China. Following pressure by its employees, Google said it will not renew an artificial intelligence contract with the Pentagon. Employees at Microsoft, Amazon, and Salesforce also have protested those companies’ ties with US government agencies. There are few clear rules around such interactions. Historically, companies have tended only to take stands in response to public scrutiny, not out of general principle. But as with tech’s condemnation of President Trump’s travel ban, once a few CEOs wade in, the rest often follow.